How relaxed is your workplace? Not very? You’re not alone. Most of our clients don’t come to us asking for a more relaxed environment. Usually they want more energy, more gusto, more pow exhibited by employees. But with life so frenetic, and mental stress such an epidemic, could relaxed workplaces be the answer? People who are relaxed are more productive, more creative and – to state the obvious – are less likely to burn out. Study after study shows that a relaxed mind can problem solve better, remember better and get more done. Humans are designed for a push and rest mode of working, not push and push harder. Our brains and bodies thrive on relaxation, and begin to shut down under prolonged stress. So why doesn’t everyone do it? Because successful people work hard, don’t they? The stories of successful entrepreneurs – and probably senior figures in your organisation – all carry the message that success comes from crazy long hours, sacrifice and pushing through. No-one wants to be a slacker. Many Australian business cultures are built on the “go hard or go home” philosophy. After all, if you look too relaxed people will think you don’t have enough to do. Or you aren’t engaged enough. You might be given yet more work, or worse, overlooked for someone “hungrier”. What’s wrong with pushing yourself hard? The problem is stress. Specifically, chronic stress that comes from constantly pushing and striving and rarely taking a break. Even besides the serious health impacts of stress, studies show that constant stress and striving reduces productivity, performance and engagement. Productivity drops off sharply when anyone works beyond 40 hours a week. And working more than 11 hours a day increases your risk of coronary events by two-thirds. Employees suffering from high stress levels have lower engagement, are less productive and have higher absentee levels, according to a study by global HR firm Towers Watson, which surveyed 22,347 employees across 12 countries. Then there’s sleep. A study of nearly 400 employees found that sleeping less than six hours each night — was one of the best predictors of on-the-job burn-out. Stress plays havoc with your sleep, and can lead to chronic insomnia. People who take time to relax don’t necessarily work less hard, but they work smarter. Don’t think of it as relaxation. Think of it as strategic renewal. “A new and growing body of multidisciplinary research shows that strategic renewal — including daytime workouts, short afternoon naps, longer sleep hours, more time away from the office and longer, more frequent vacations — boosts productivity, job performance and, of course, health,” says Tony Schwartz of the Energy Project. Schwartz says the human body is programed to move from a state of alertness into physiological fatigue about every 90 minutes. “Our bodies regularly tell us to take a break, but we often override these signals and instead stoke ourselves up with caffeine, sugar and our own emergency reserves — the stress hormones adrenaline, noradrenaline and cortisol,” says Schwartz. Think about your own productivity. Chances are, your greatest insights or ideas come to you away from the desk – walking outdoors, or in the shower, or in your commute on your way home. Your brain has had a chance to relax, and can think more deeply. This is backed up by science: brain-imaging research shows that relaxation enhances memory and intellectual understanding. Create a breakroom: this could be as simple as a few sofas down one end of the office, or a full Google-style leisure room. 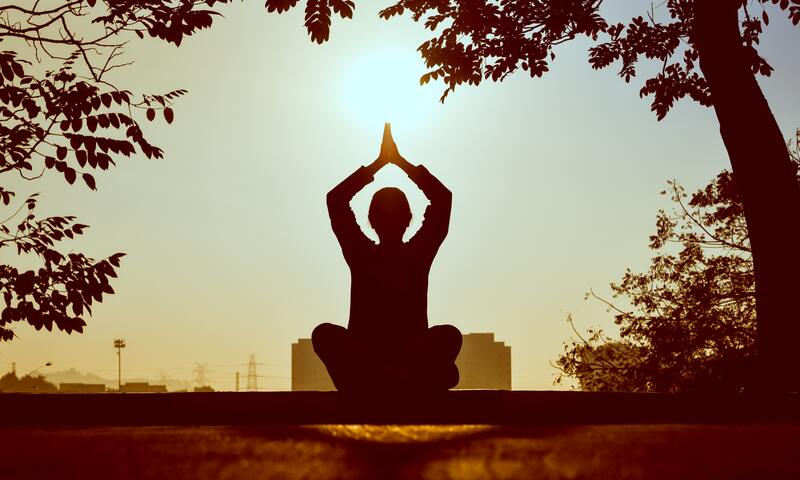 Offer meditation classes, yoga classes and massage: nothing sends a clearer message than investing in your employees’ relaxation and resilience with face-to-face services. Encourage people to leave on time and not check their emails after hours. These things will be ineffective unless you change the culture. And culture change starts from the top. You and the senior managers need to model this change. Be aware of the times you praise stress & striving. Be more mindful of rewarding outcomes, rather than busy-ness. Take breaks yourself, take time to relax, AND don’t try to hide it. Do it with pride and purpose. Ask, “Did you have a relaxing weekend?” rather than “Busy weekend?” The messages are subtle but powerful. Before saying something is urgent, ask yourself – is it really? Not everything can be urgent all the time, and can lead to a crisis culture that’s a hotbed for burnout. Previous PostDid France ban out of hours email? Not quite. Should we? Perhaps. Next PostUnite your employees with… stress?